Benjamin Anderson practices in the area of litigation, with a focus on environmental law and litigation. 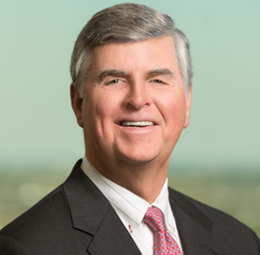 His litigation experience includes general commercial litigation, contractual disputes, expropriation (eminent domain) litigation, and bankruptcy and creditors’ rights. During law school, Mr. Anderson served as a judicial extern for the Hon. W. Eugene Davis of the U.S. Court of Appeals for the Fifth Circuit. Representation of various clients in tort/environmental contamination litigation and environmental regulatory work. Representation of railroad against claims arising from a train derailment. Representation of manufacturers and distributors in products liability litigation. Representation of oil and gas exploration and production company in connection with "legacy" suit alleging contamination from operations. Representation of various individuals and businesses in contractual disputes, including commercial lease disputes. Representation of a major energy company in negotiating rights of way and acquisition of rights of way via expropriation (eminent domain) for the construction of a pipeline. Representation of banks, individuals, and other lenders, and businesses in a variety of collection matters, including suits on promissory notes, suits on open account and foreclosures. Representation of various individuals and businesses in enforcing Louisiana, federal and foreign judgments. Representation of secured and unsecured creditors in a variety of bankruptcy related issues. Representation of defendants in preference litigation and other bankruptcy related claims. Representation of real estate firm in Real Estate Settlement Procedures Act (RESPA) litigation.